Boom Town Publicity Page | Oh, for the HOOK of a BOOK! 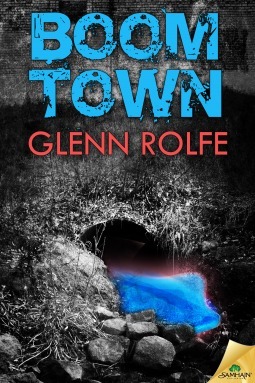 Welcome to the publicity page for Boom Town (publication date April 7, 2015), a novella by Glenn Rolfe! This page is managed by Erin Sweet Al-Mehairi and Tim Busbey of Addison’s Compass Public Relations and Hook of a Book Media and Publicity. If you’d like to join the tour, please e-mail Erin at hookofabook@hotmail.com. This small town adventure in alien goo is sure to please! This page will be updated almost each day with new stops and current links, so come by often to see the reviews, interviews, and fun guest articles. Let’s go alien hunting! 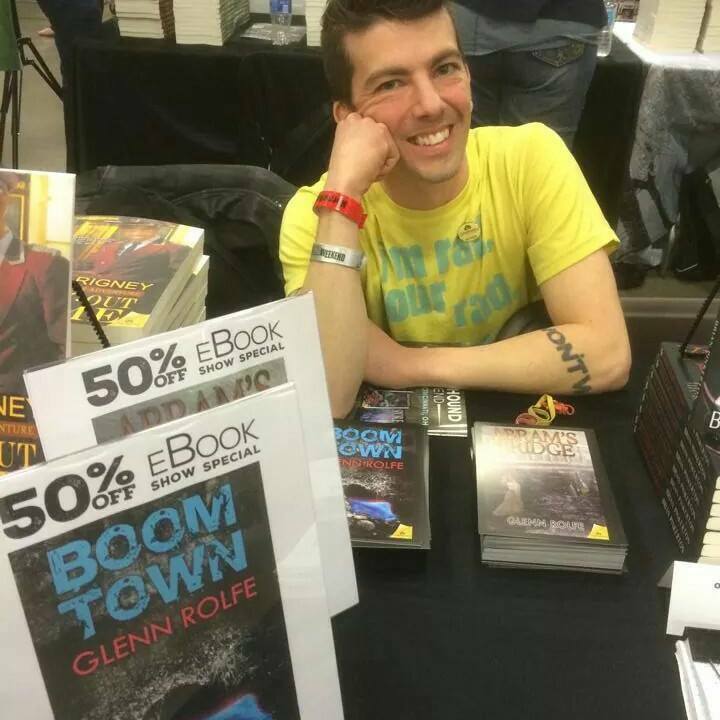 Glenn at HorrorHound Cincinnati in March 2015!